RESIDENTS of Chutka know exactly what displacement means—glorious promises of land, jobs and 24-hour free electricity, but pittance in the name of compensation; unending court cases; clashes with communities, even murders and suicides. Small wonder, they do not want to be displaced a second time. Chances of their displacement are high, with the Madhya Pradesh government earnestly trying to begin work on 1,400-MW atomic power project of Nuclear Power Corporation of India Ltd (NPCIL) in the village. The power company had started work in 1986 but discontinued after the nuclear disaster in Chernobyl. Residents of some 40 villages, whose lives are likely to be threatened by the plant, have been protesting for years. But to no avail. The project, with an initial cost of Rs 14,500 crore, will require 1,000 hectares. Add to this, a township for the plant workers. The project will relocate five tribal villages—Chutka, Tatighat and Kunda in the first phase and Bhaliwada and Patha later. 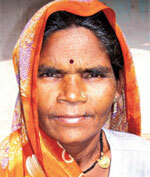 All except Kunda were displaced due to Bargi dam on the Narmada river near Jabalpur in 1984. NPCIL has proposed to extend the plant to 2,800 MW capacity. It was from newspaper reports in October 2009 that people learnt that the Centre had cleared the nuclear power project. Alarmed at the prospects of yet another displacement and environmental hazards, residents organised themselves as Chutka Parmanu Sangharsh Samiti and met the then collector K K Khare. “We were told that no step will be taken without taking the gram sabhas into confidence because the land falls in the Scheduled Area where the Panchayat (Extension to Scheduled Areas) Act is in force,” says Navratan Dube, secretary of the Samiti. But in March 2010, a government’s survey team arrived without intimation. “The Samiti managed to stop the survey, but the collector kept asking us not to oppose the project,” says Dadulal Khodape, Samiti president. The Samiti managed to stop five such surveys. On June 29, 2012, district collector Swati Meena issued a land acquisition notice. This despite the fact that the project has not yet received environmental clearance. “The notice reached us 26 days later, leaving us with just four days to file objections,” says Dube. “When we went to submit gram sabha’s resolutions against the project, Meena refused to accept the objections saying she had no right to do so. She accepted the resolutions after protests,” Dube adds. In August this year, a delegation of residents met Governor Ram Naresh Yadav to express their opposition to the project. “But the Governor asked us why we were opposing a project that was, after all, good. What can be good about a project that takes away our land and poisons our environment?” wonders Khodape. “The jobs the power company propose are for the educated. We will not even get electricity the plant produces. And if there is a Fukushima-like disaster, we will be the first victims,” he says. Chutka is known for its seismic as well as volcanic activities. In May 1997, the village and its surrounding areas witnessed an earthquake measuring 6.5 on Richter scale. “A part of a hill developed a 200-metre crack from which a combustible gas kept leaking for about 10 days,” says Meerabai. In April 2011, Sita Pahad in Barela, about 30 kilometres from Chutka, witnessed a volcanic eruption. Scientists say the entire Narmada valley is located in a fault zone. “It goes without saying that seismic zone 3, where Chutka is located, would be a dangerous location for a nuclear plant. Even if there are no accidents, it is now proven that a nuclear plant is dangerous,” says physicist and anti-nuclear activist Surendra Gadekar. Surveys conducted at nuclear facilities such as Rawatbhata, Tarapore, Kakdapar show high incidence of bad pregnancy, congenital disorders and chronic diseases. “What’s more, nuclear waste is rarely disposed of properly and radiation intensity keeps rising with time. At Tarapore, for instance, background radiation, which was calculated 65-85 milirem per year in 1985, is now 220-240 milirem per year,” he warned. The plant will also take away livelihood of fisherfolk. It will use Narmada’s water, which will then be released downstream. This will pollute the river and impact the already dwindling fish stock, says Sitaram Burman, head of fishers’ cooperative at Patha village. The district administration is using coercive methods to push the project, complain people. On May 18, 2012, at a gram sabha meeting in Kunda, the then tehsildar threatened to acquire land by force if people did not cooperate. On October 1, collector Meena organised a public hearing on the issue. But when people reached the place along with Gondwana Ganatantra Party members, who wanted to register their protest against the plant, she threatened of arrest. “Ever since the Centre cleared the plant, all development activities in the affected villages have been stopped,” says Rajkumar Sinha of Bargi Bandh Sangharsh Samiti. 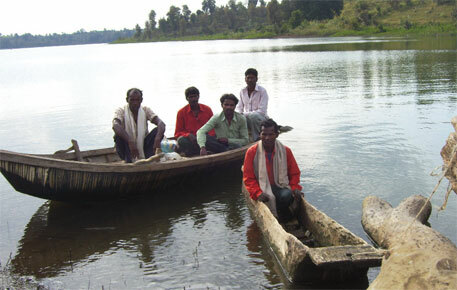 “People’s claims under Forest Rights Act have also not been settled. We have pointed out that land acquisition under such circumstances is illegal, but the administration does not listen to us,” he says. Meena was not available for comments. The administration has disregarded people’s demands for visits to other nuclear facilities to guage its impact. When some people visited Rawatbhata plant in Rajasthan on their own and complained of the hazards, the administration and NPCIL officials organised a trip for 41 people. “We were served liquor and good food and taken around the plant. But despite requests, we were not allowed to visit villages near the plant,” says Dadulal Kodape. “Obviously, there is something they do not want us to know,” he adds. Meanwhile, people of the region are planning more protests. Some 500 villages in Mandla and Seoni districts are protesting because they are dependent on the Narmada for livelihood. “We will soon organise a rally and a protest march soon. The plant will poison our environment. We will rather die than let government impose it on us,” says Dube.